Launched in October 2019 the Greg Mortimer, with a revolutionary X-Bow design, is one of the most dynamic and state of the art purpose-built expedition vessels on the seas. The revolutionary X-bow is designed to slice through the water rather than riding over the waves making for comfortable and fast travels through the polar seas. Designed to carry a maximum of 160 passengers polar voyages will be restricted to 120 passengers. Other features include two hydraulic side viewing platforms on deck 5, water level zodiac launching platforms on deck 3 and at the rear an activity platform for launching kayaks, divers and snorkelling groups along with a changing room. There is a gym with wellness centre and sauna along with rear sundeck. A forward observation lounge and rear observation deck along with a lounge used for lectures and presentations. The 80 cabins spread over four decks all feature private facilities, bed can either be twin or double configuration, ample storage, power outlets and a daily cabin service, as well as all the basic amenities that you'll need onboard. Aurora Staterooms: Lead in category. 23.2 square metres and located on deck three, all have portholes, a comfortable seating area, some can be converted into a triple cabin with the use of a sofa bed. Balcony Staterooms: 23.1 – 28.9 square metres combined cabin and balcony, they are located on decks four and six and have floor to ceiling windows and a small balcony area with seating. Several cabins are available as interconnecting so work perfectly for families. Balcony Suites: Located on deck four, the cabins are 36 square metres with a 10 square metre balcony, they offer a more spacious option for those who wish to spread out with a little more gear. Junior suites: All four are located on deck seven, the rooms are 30.1 square metres and the balconies 14.3 square metres, the cabin is laid out with a separate lounge and sleeping area and have the capacity for a third passenger on a sofa bed. Captain's suite: Located portside midship on deck four with a very spacious 35.9 square metres in the cabin and 10.42 square metres balcony accessible from both the bedroom and the lounge area. 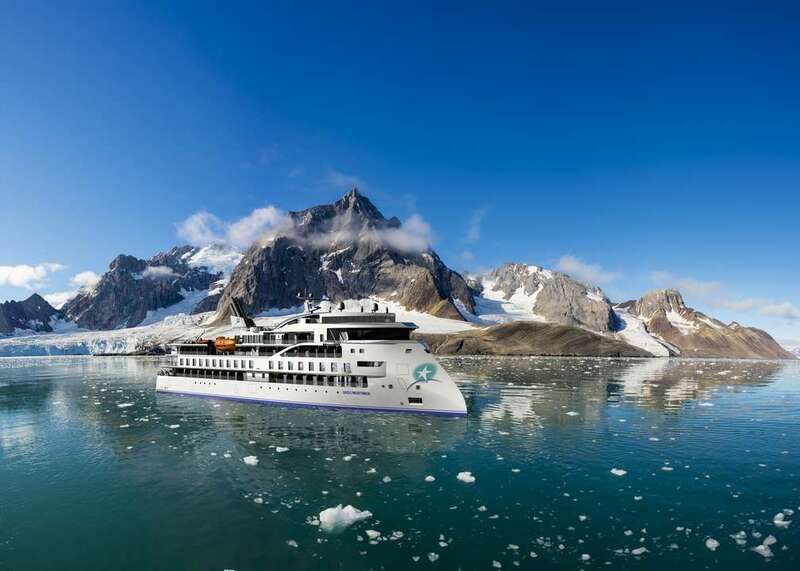 A wide range of itineraries throughout the Arctic and Antarctic are available.